Surfaces of different complex shapes are aspirated part of many scientific measuring devices, medical, astronomical, and other precision activity utilizations. Components at miniaturized level should meet required surface roughness for the intended applications. Surface finishing of freeform and miniaturized components are always difficult and need to look for a new way out. In this study, an attempt was made to improve surfaces roughness of selected, most frequently used, engineering materials using different innovative processes, which can be integrated with CNC machine centers. An advanced automated surface finishing tools such as ball burnishing embedded with load cell, vibration assisted polishing, and self-propelled abrasive multi-jet polishing tools are proposed. Ball burnishing is advantageous for pre-machining process of ball polishing. Using the polishing device embedded with load cell, the constant force polishing is achieved. To reduce the volumetric wear of a polishing ball, vibration assisted polishing device is also integrated. Moreover, self-propelled abrasive multi-jet polishing tool, which achieves 93.33% improvement of surface roughness for lapped optical glass of BK7 has been subjugated from Ra 0.300 μm to 0.020 μm. These tools can be miniaturized and applicable in small micro CNC machining centers. Full text (33.0MB) (free) Please log in. F. Shiou and A. Tsegaw, “Ultra Precision Surface Finishing Processes,” Int. J. Automation Technol., Vol.13, No.2, pp. 174-184, 2019. N. Khatri, J. Xavier Manoj, V. Mishra, H. Garg, and V. Karar, “Experimental and simulation study of nanometric surface roughness generated during Magnetorheological finishing of Silicon,” Materials Today: Proc., Vol.5, Issue 2, Part 1, pp. 6391-6400, 2018. F. Zhao, L. Zhou, Z. Fan, and Z. Dai, “Research on Surface Processing of Quartz Wafer Based on Magnetorheological Finishing and Ion Beam Figuring,” Procedia CIRP, Vol.71, pp. 496-499, 2018. R. Huang, X. Zhang, M. Rahman, A. S. Kumar, and K. Liu, “Ultra-precision machining of radial Fresnel lens on roller moulds,” CIRP Annals, Vol.64, No.1, pp. 121-124, 2015. F.-J. Shiou, M. M. Fu, and S. P. Lin, “Development of a quasi hydrodynamic polishing process on a machining center,” ICMT 2012 – 16th Int. Conf. on Mechatronics Technology, pp. 270-274, 2012. C. F. Cheung, C. J. Wang, Z. C. Cao, L. T. Ho, and M. Y. Liu, “Development of a multi-jet polishing process for inner surface finishing,” Precision Engineering, Vol.52, pp. 112-121, 2018. F. Chen, H. Wang, Y. Tang, S. Yin, S. Huang, and G. Zhang, “Novel cavitation fluid jet polishing process based on negative pressure effects,” Ultrasonics Sonochemistry, Vol.42, pp. 339-346, 2018. A. Barman and M. Das, “Nano-finishing of bio-titanium alloy to generate different surface morphologies by changing magnetorheological polishing fluid compositions,” Precision Engineering, Vol.51, pp. 145-152, 2018. V. Grover and A. K. Singh, “Modeling of Surface Roughness in a New Magnetorheological Honing Process for Internal Finishing of Cylindrical Workpieces,” Int. J. of Mechanical Sciences, Vol.144, pp. 679-695, 2018. H. Kansal, A. K. Singh, and V. Grover, “Magnetorheological nano-finishing of diamagnetic material using permanent magnets tool,” Precision Engineering, Vol.51, pp. 30-39, 2018. K. Shan, P. Zhou, J. Cai, R. Kang, K. Shi, and D. Guo, “Electrogenerated chemical polishing of copper,” Precision Engineering, Vol.39, pp. 161-166, 2015. L. Zhang, X.-S. He, H.-R. Yang, and Y. Zhang, “An integrated tool for five-axis electrorheological fluid-assisted polishing,” Int. J. of Machine Tools and Manufacture, Vol.50, No.8, pp. 737-740, 2010. J. Kumstel and B. Kirsch, “Polishing Titanium- and Nickel-based Alloys using Cw-Laser Radiation,” Physics Procedia, Vol.41, pp. 362-371, 2013. S. Zeng, and L. Blunt, “Experimental investigation and analytical modelling of the effects of process parameters on material removal rate for bonnet polishing of cobalt chrome alloy,” Precision Engineering, Vol.38, No.2, pp. 348-355, 2014. C. F. Cheung, L. B. Kong, L. T. Ho, and S. To, “Modelling and simulation of structure surface generation using computer controlled ultra-precision polishing,” Precision Engineering, Vol.35, No.4, pp. 574-590, 2011. R. Jerez-Mesa, G. Gomez-Gras, and J. A. Travieso-Rodriguez, “Surface roughness assessment after different strategy patterns of ultrasonic ball burnishing,” Procedia Manufacturing, Vol.13, pp. 710-717, 2017. R. Jerez-Mesa, J. A. Travieso-Rodriguez, G. Gomez-Gras, and J. Lluma-Fuentes, “Development, characterization and test of an ultrasonic vibration-assisted ball burnishing tool,” J. of Materials Processing Technology, Vol.257, pp. 203-212, 2018. Z. F. Kovács, Z. J. Viharos, and J. Kodácsy, “Determination of the working gap and optimal machining parameters for magnetic assisted ball burnishing,” Measurement, Vol.118, pp. 172-180, 2018. A. Saldaña-Robles, H. Plascencia-Mora, E. Aguilera-Gómez, A. Saldaña-Robles, A. Marquez-Herrera, and, J. A. Diosdado-De la Peña, “Influence of ball-burnishing on roughness, hardness and corrosion resistance of AISI 1045 steel,” Surface and Coatings Technology, Vol.339, pp. 191-198, 2018. H. Suzuki, S. Hamada, T. Okino, M. Kondo, Y. Yamagata, and T. Higuchi, “Ultraprecision finishing of micro-aspheric surface by ultrasonic two-axis vibration assisted polishing,” CIRP Annals, Vol.59, No.1, pp. 347-350, 2010. H. Yamaguchi and A. A. Graziano, “Surface finishing of cobalt chromium alloy femoral knee components,” CIRP Annals, Vol.63, No.1, pp. 309-312, 2014. J. A. Dieste, A. Fernández, D. Roba, B. Gonzalvo, and P. Lucas, “Automatic Grinding and Polishing Using Spherical Robot,” Procedia Engineering, Vol.63, pp. 938-946, 2013. J. J. Márquez, J. M. Pérez, J. Ríos, and A. Vizán, “Process modeling for robotic polishing,” J. of Materials Processing Technology, Vol.159, No.1, pp. 69-82, 2005. S. Zaborski, A. Sudzik, and A. WoŁ Yniec, “Electrochemical polishing of total hip prostheses,” Archives of Civil and Mechanical Engineering, Vol.11, No.4, pp. 1053-1062, 2011. T. Kuriyagawa, M. Saeki, and K. Syoji, “Electrorheological fluid-assisted ultra-precision polishing for small three-dimensional parts,” Precision Engineering, Vol.26, No.4, pp. 370-380, 2002. M. Vadali, C. Ma, N. A. Duffie, X. Li, and F. E. Pfefferkorn, “Pulsed laser micro polishing: Surface prediction model,” J. of Manufacturing Processes, Vol.14, No.3, pp. 307-315, 2012. H. Ohmori, I. D. Marinescu, K. Katahira, Y. Watanabe, H. Kasuga, J. Komotori, S. Yin, M. Mizutani, and T. Naruse, “9 ELID Grinding Applications,” H. Ohmori, I. D. Marinescu, and K. Katahira (Eds. ), “Electrolytic In-Process Dressing (ELID) Technologies: Fundamentals and Applications,” CRC Press, p. 123, 2011. F.-J. Shiou and C.-H. Cheng, “Ultra-precision surface finish of NAK80 mould tool steel using sequential ball burnishing and ball polishing processes,” J. of Materials Processing Technology, Vol.201, No.1, pp. 554-559, 2008. F.-J. Shiou and H.-S. Ciou, “Ultra-precision surface finish of the hardened stainless mold steel using vibration-assisted ball polishing process,” Int. J. of Machine Tools and Manufacture, Vol.48, Nos.7-8, pp. 721-732, 2008. L. Talluri, D. Fiaschi, G. Neri, and L. Ciappi, “Design and optimization of a Tesla turbine for ORC applications,” Applied Energy, Vol.226, pp. 300-319, 2018. J. Song, X.-D. Ren, X.-S. Li, C.-W. Gu, and M.-M. Zhang, “One-dimensional model analysis and performance assessment of Tesla turbine,” Applied Thermal Engineering, Vol.134, pp. 546-554, 2018. A. 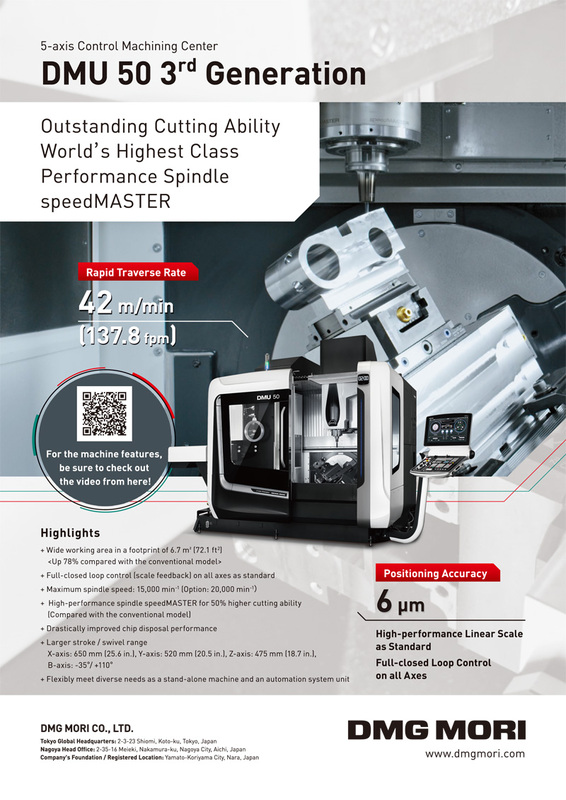 A. Tsegaw, “Research on Development of Self-Propelled and Spindle Assisted Rotary Multi-Jet Abrasive Fluid Polishing Tools for Ultra-Precision Polishing,” Ph.D. thesis, National Taiwan University of Science and Technology, 2014. A. F. R. Ladino, “Numerical simulation of the flow field in a friction-type turbine (Tesla Turbine),” Diploma thesis, Vienna University of Technology / National University of Colombia, 2004. S. Hasinger and L. Kehrt, “Investigation of a shear-force pump,” J. of Engineering for Power, Vol.85, No.3, pp. 201-206, 1963. F.-J. Shiou, and C.-C. Hsu, “Surface finishing of hardened and tempered stainless tool steel using sequential ball grinding, ball burnishing and ball polishing processes on a machining centre,” J. of Materials Processing Technology, Vol.205, No.1, pp. 249-258, 2008. Y. I. Works, “Technical handbook of MV-3A vertical machining center,” Taiwan Google Scholar, 1996. M. S. Phadke, “Quality engineering using robust design,” Prentice Hall PTR, 1995. C. Chuang, “Research on the automated surface finish of the tool steels using a load-cell embedded burnishing tool,” Thesis of Master of Science, National Taiwan University of Science and Technology, 2007. M. Rososhansky and F. J. Xi, “Coverage based tool-path planning for automated polishing using contact mechanics theory,” J. of Manufacturing Systems, Vol.30, No.3, pp. 144-153, 2011. Y. Sun, “Sliding wear behaviour of surface mechanical attrition treated AISI 304 stainless steel,” Tribology Int. Vol.57, pp. 67-75, 2013.